All three Synoptic Gospels record the incident of Jesus and His disciples passing through the grainfields on a Sabbath. I thought I would put together some photos to help you visualize what happened here. 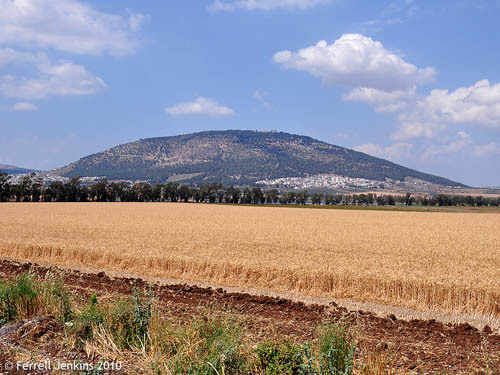 First, we have a photo of a wheat field below Mount Tabor. The photo is made looking north west from near the site of ancient En-dor. The area is famous as the home of the medium visited by King Saul (1 Samuel 28:7). Wheat field with view NW to Mount Tabor. Photo by Ferrell Jenkins. 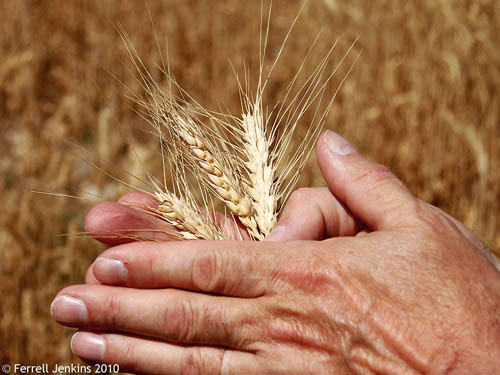 Now, imagine the disciples taking ripe grain in their hands. 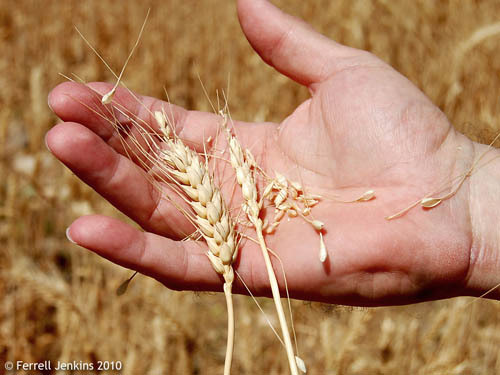 Picking heads of grain. Photo by Ferrell Jenkins. And then rubbing the heads to separate the grain from the chaff. Rubbing grain to separate the grain from the chaff. Photo by Ferrell Jenkins. The Mosaic law allows for plucking standing grain with the hand, but not using a sickle. The sickle pictured below was excavated at Tell Beit Mirsim and dates to the Iron Age sometime between 925-701 B.C. It is displayed in the James L. Kelso Bible Lands Museum at the Pittsburgh Theological Seminary. Sickle from the Iron Age at Tell Beit Mirsim. Kelso Bible Lands Museum, Pittsburgh Theological Seminary. Photo by Ferrell Jenkins. The Pharisees were claiming that what the disciples were doing was work prohibited on the Sabbath, but Jesus used the event to teach two important facts. The last two photos were made in the vicinity of Mount Nemrut in eastern Turkey. Larger images, suitable for use in teaching, are available by clicking on the photos. This entry was posted in Archaeology, Bible Places, Bible Study, Culture, Israel, Old Testament, Photography, Travel and tagged agriculture. Bookmark the permalink.